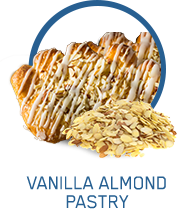 Breakfast is the most important meal of the day and busy mornings don’t always allow time to make a bowl of oatmeal in addition to having your protein shake. Now there’s a solution to help Fuel Your Morning with ease. 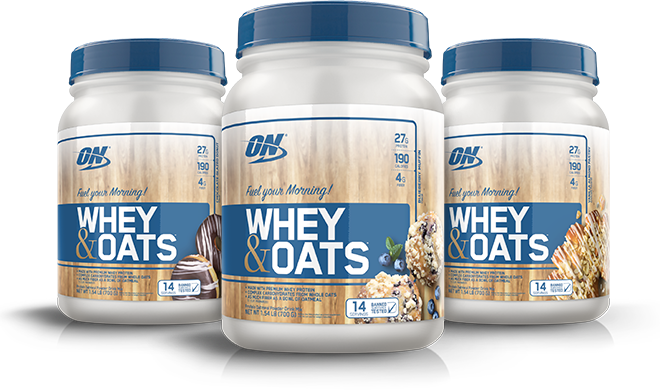 WHEY & OATS - a convenient and delicious way to help complete your breakfast by getting whey – a complete protein with all the essential amino acids to help support muscle recovery, and oats -- a complex carbohydrate that provides energy to support strength and endurance. 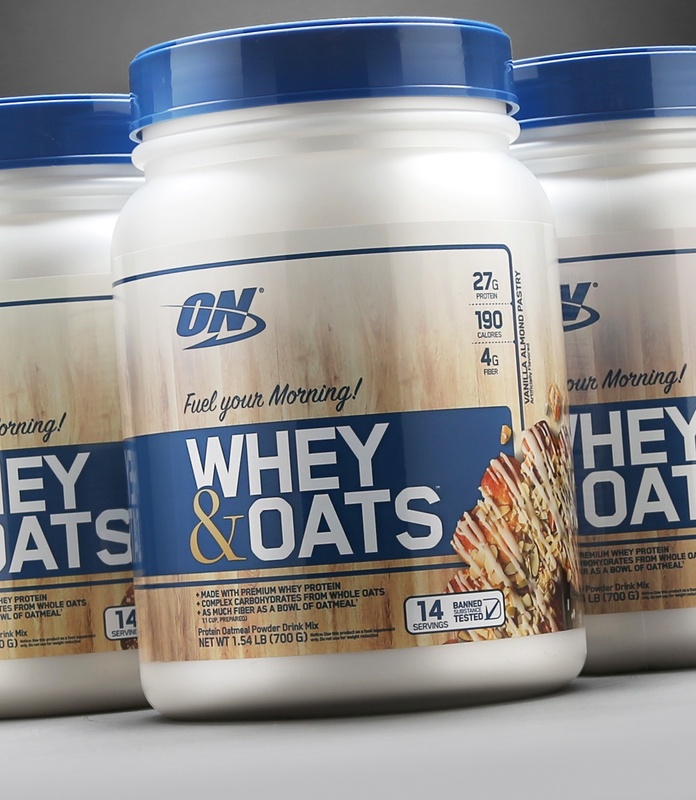 Get your foundational elements of Whey & Oats in breakfast-inspired flavors, in a smooth, easy-to-mix shake. 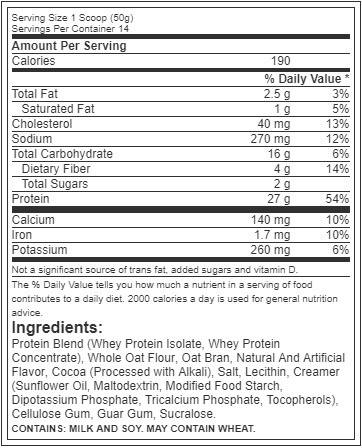 Also try Optimum Nutrition’s GREEK YOGURT PROTEIN SMOOTHIE to help fuel your busy mornings. For a convenient breakfast-time shake, just add a scoop of WHEY & OATS to a glass or shaker cup filled with 8-10 fl oz of cold water or your favorite beverage. Then stir or shake for 20-30 seconds or until powder is dissolved. You watch what you eat, train with determination and make a habit of challenging yourself with ambitious goals. Here’s your reward for all that hard work. 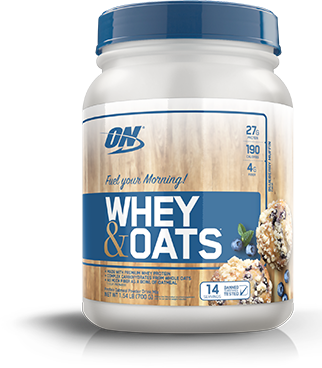 ON’s Whey & Oats pack 27 grams of protein with all the essential amino acids to help support muscle recovery, and oats -- a complex carbohydrate that provides energy to support strength and endurance.